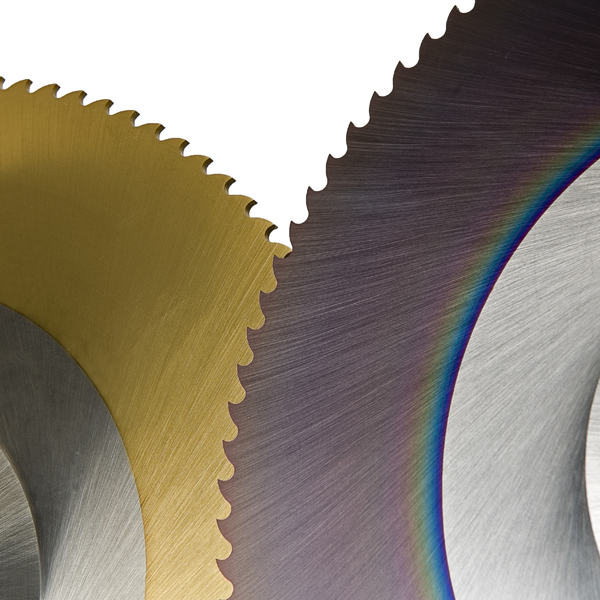 Julia is the biggest worldwide producer of circular saw blades for cutting metals with diameters from 160 mm to 700 mm. We only use super high-speed steel manufactured by steel plants that are ISO 9001 approved. This guarantees the constant quality of the products supplied, which always come with a casting certificate and a detailed chemical analysis. We have all standard items ready from stock, and we can also manufacture special tools to meet specific customer requirements. This is the standard product used for cutting alloys and common steel < 550 Mpa. All the blades are made in super high-speed steel with a high tungsten and molybdenum content. These elements of composition ensure that, after heat treatment, an extremely high hardness and suitable tenacity is achieved. The right tungsten percentage is essential to create the correct quantity of very hard wear-resistant carbides in order to improve the tool life under high temperatures. The tungsten increases the mechanical endurance of the tool, improving the cutting performance and preventing the austenitic grain enlargement. The tungsten is also essential to guarantee the formation of a fine martensitic structure, and increases the tool tenacity, maintaining a high mechanical resistance. Vanadium is the element that forms the hardest, wear-resistant carbides amongst all other alloys. This is our standard product used for cutting stainless steel and medium hard steel 550 – 700 MPa. It is a super high-speed steel that contains all the alloy elements already present in the Dmo5, plus 5% cobalt. The cobalt does not form carbides, but ensures stability, preventing critical grain enlargement, and above all maintains extreme hardness during working temperatures. This peculiarity is very important when cutting very adherent materials such as stainless steel and very hard metals with high cutting temperatures. The production range is the same as the Hss-Dmo5 products. This is a new product developed by our R&S department together with the mechanical division of the Trento’s university. 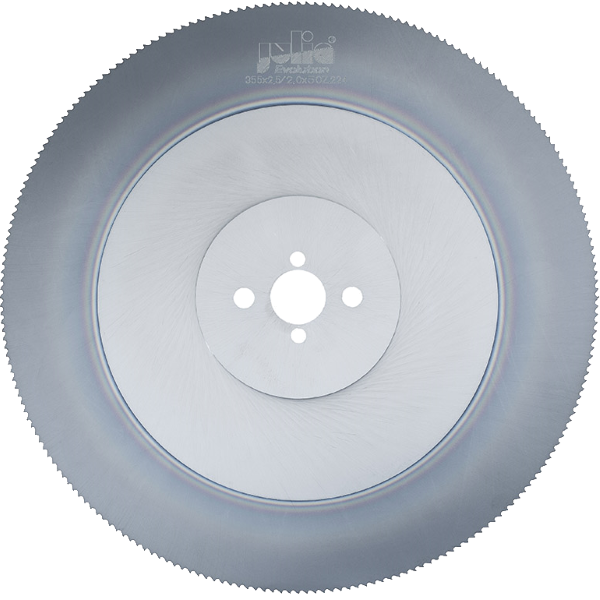 Our goal was to find a special saw blade to improve the cutting speed when working with steel pipes and solid bars with hardness 650 – 850 MPa, when using high performance cut off machines. Multilayer PVD coating with a surface hardness higher than 3400 HV. EVOLUTION is manufactured with the best coating ever developed by Julia’s R&S department. This is a coating with a special composition, achieved by following a precise and specific recipe of noble elements, which achieves the highest surface hardness amongst traditional coatings, and offers great heatsinking capacity. 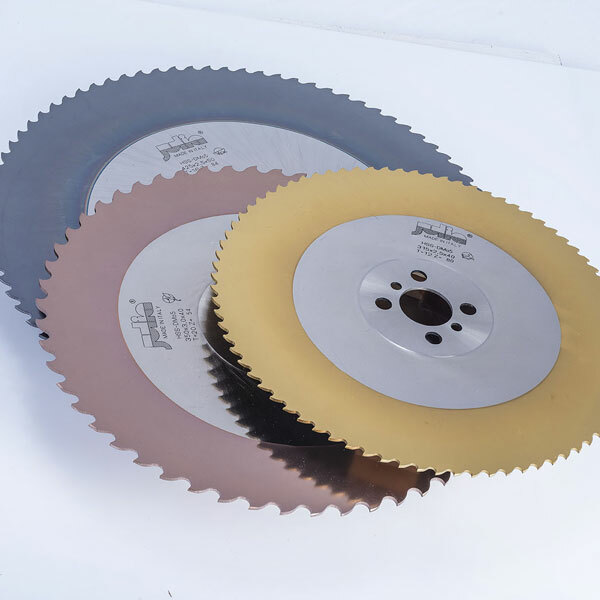 The top of Julia’s range of HSS saw blades, offering the high tenacity of steel and the performance of carbide. 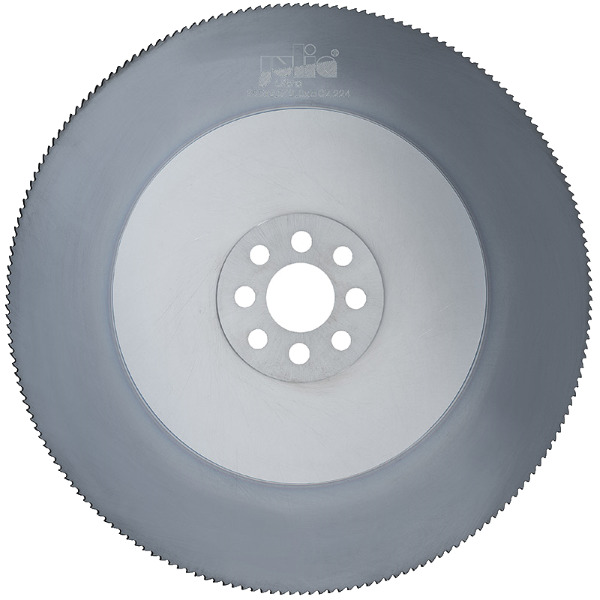 This circular saw blade is normally used by our customers who cut hard steel > 1250 MPa. Using this very special product, it is usually possible to achieve better results than with TCT carbide saw blades. Julia recommends ULTRA to cut very hard steel in the automotive industry, for stainless steel, titanium etc. Innovative multilayer PVD coating with a surface hardness higher than 3650 HV. Restricted “side-runout” tolerances always apply with Ultra. The result: Hardness, tenacity, finish and durability – all you need for an excellent cut. ULTRA is provided with the best coating ever developed by Julia’s R&S department. This is a coating with a special composition, achieved by following a precise and specific recipe of noble elements, which achieves the highest surface hardness amongst traditional coatings and offers great heatsinking capacity. Thanks to its very limited side-runout, restricted cutting tolerances are always respected, even on the toughest materials and in difficult conditions. This combination makes the Ultra the top performing blade on the market.